Automatic notification of position and information about who is in the water. It's free to register your AIS sender. Registration may help save you in an MOB or crisis situation. 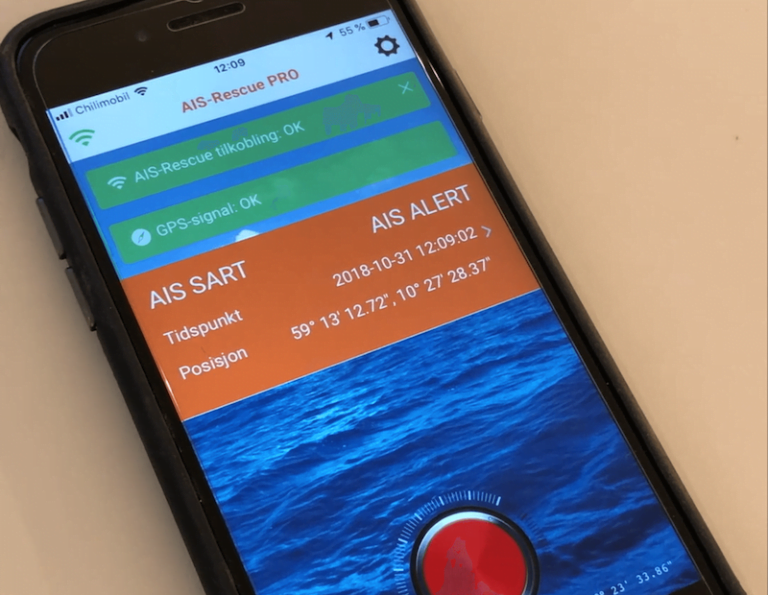 If you have downloaded the AIS-Rescue app (which is also free), notification and information will be provided to potential rescuers and your contact person. The AIS-Rescue app is free. In a MOB situation, notification will appear on the mobile phone to potential rescuers who also have the app and contact you have registered. With AIS transmitter, AUTOMATIC IS FAIL if you fall overboard (MOB). In the free version, you can register your sender with contact info, so your rescuer can see who is in the water and verify the situation for faster rescue. In the PRO version you have functionality for manual alert, test function, tracking and safer and better notification. Test Fuel, System Test, AIS Test. Boats in the lake 2019 at Aker brygge. AIS Search and Rescue Transmitter (AIS) is the solution for you who take your own safety seriously. With an AIS-SART in the life jacket, you have a high chance of survival if you fall overboard from a boat. Our AIS-SART starts sending automatically if you fall into the water. AIS-SART is a Class A transmitter that transmits with a signal strength of 1-2 watts. It sends your emergency message (message 14 distress message) once per. minute at two frequencies: 161.975 MHz and 162.025 MHz. in a perimeter of 4-5 nautical miles.